This morning in honor of Earth Day 2019, The Ohana Institute unveiled INVASIVE, the Lionfish. 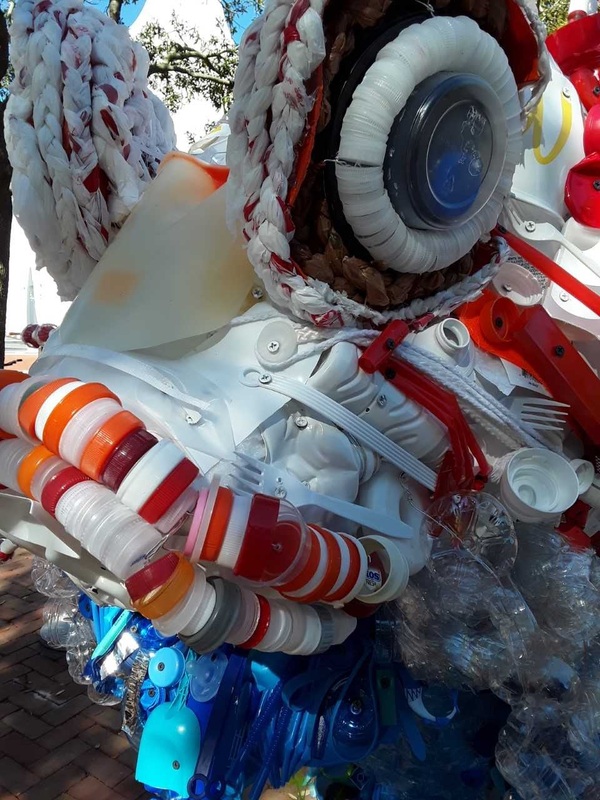 Rosemary Beach, the Seaside Institute and Ohana Institute collaborated to bring attention to the problem of single-use plastics and offering ways we can be better stewards of our oceans and earth as a way to celebrate Earth Day! SEASIDE — After Hurricane Michael destroyed communities along the Emerald Coast on Oct. 10, the Seaside Institute started a Hurricane Michael Relief Fund to help those directly affected by the storm’s devastating impact. The fund has raised nearly $9,000 to date, $7,500 of which will be donated to the Sonder Project, according to a news release from the Seaside Institute. Since Hurricane Michael made landfall in areas such as Lynn Haven, Mexico Beach and Panama City, organizations along the Emerald Coast have focused their efforts on providing supplies, support and recovery efforts to those who were directly affected. The Sonder Project, a global non-profit organization based out of Santa Rosa Beach — with a mission to strengthen communities through food security, clean water, housing and education — has focused their efforts to provide hurricane recovery. The money raised from the Seaside Institute Hurricane Michael Relief Fund will help the Sonder Project rebuild homes and support the project’s Secret Santa program, providing Christmas gifts to families impacted by Michael. The remaining money raised by the fund will go directly to families personally identified by the Seaside Institute based on the basic necessity of housing, food, clothing and transportation, the release said. The Seaside Institute will continue to raise funds through the Hurricane Michael Relief Fund. Those interested in making a donation can donate online at http://www.seasideinstitute.org/hurricane-policy/, or by mailing your donation directly to the Seaside Institute, Attention Hurricane Michael Relief Fund, at P.O. BOX 4875 Santa Rosa Beach, FL 32459. David Everett (Alys Beach), Christopher Chadwick (Draper Lake), Billy Buzzette (Grayton Beach), Dr. Mary Zahner (Rosemary Beach), Mark Wey (Seaside), Randy Carroll (Watercolor), John Lebowitz (Watersound), Cindy Stenberg (The Association, a property management firm representing 14 communities), Moe Stouse (Coastal Seniors of South Walton) and Daniel Alstenzer (Florida State Parks). The 30A Alliance Advisory Board is an apolitical group of local emissaries who will assist in an advisory capacity to the Seaside Institute Board of Governors. Their collective voices will provide input to our programming and events, assistance with developing solutions to issues that affect our communities along the 30A corridor. Their perspectives will assist in creating solutions that will work in tandem with our environment. The inaugural meeting of the Advisory Board will take place January 18, 2019 at the Rosemary Beach Owner’s Club. Each 30A Advisory Board Member brings a special skill set and perspective to the mission of the Institute. We are grateful for their commitment and welcome them as vital additions to our team. 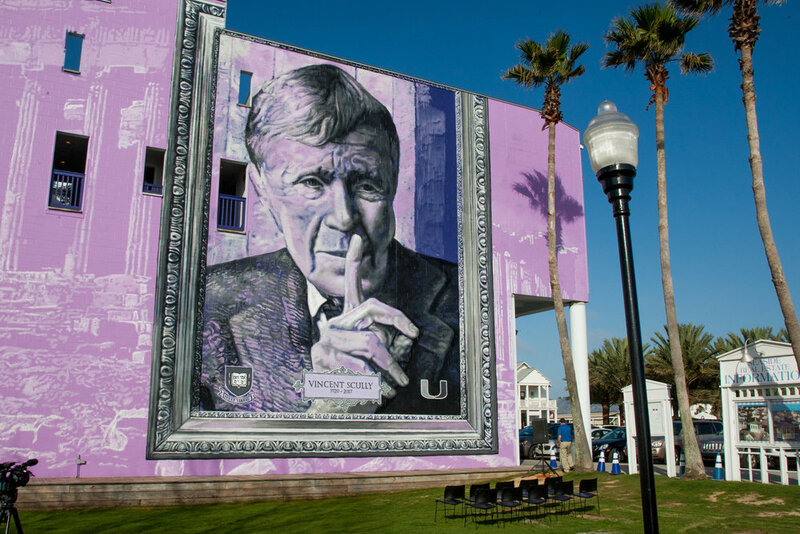 Seaside Institute Board Member, Anne Hunter, writes about the Vincent Scully tribute in Seaside. Head over to Thirty-A Review to read the full article. The 30A Mobility Project Presentation by Joachim Taiber at the Florida Automated Vehicles Summit, 2015.